Season 4 opens with Chuck engaging in a sweeping quest to find his mother (Linda Hamilton), all while keeping the rogue mission a secret from his sister. Meanwhile, Sarah and Casey journey to Russia to probe a mysterious organization and its operative (Dolph Lundgren); and Ellie breaks big news to the family. Olivia Munn and Harry Dean Stanton also guest star. Chuck: This is not the opening of a TV show. This is real life. There are crimes of fashion when Chuck and Sarah go undercover in Milan for Fashion Week to seize a high-tech weapon, yet Chuck soon recognizes a flaw in his relationship with Sarah. Meanwhile, Morgan discovers a vulnerability about the new Buy More; and Casey futilely tries to make his home in Burbank. Karolina Kurkova, Lou Ferrigno and Isaiah Mustafa guest star. Sarah: Look, I know that it’s probably taken me longer than a normal girl but you should know that you’re my home, Chuck. You always have been. Villainous nemeses Hugo Panzer ("Stone Cold" Steve Austin) and Heather Chandler (Nicole Richie) return to haunt (and hunt) Chuck and Sarah. The conniving Chandler, however, stirs up Chuck's curiosity when she claims she has information about his mother. Meanwhile, Morgan preps the store for an all-important video-game release. Stacy Keibler also guest stars. Heather: Thanks for that, movie dork. I bet you have like a Tron poster in your room. Chuck and Sarah focus on improving their communication skills when they embark on a trip to a Latin American nation with Ellie and Awesome. While there, the foursome reunite with Premier Goya (Armand Assante), but danger soon follows. In Burbank, Morgan ventures into a forbidden romance. Tia Texada and Mekenna Melvin guest star. Juan Pablo: Actually Costa Gravas is very stable. We have peace now...and Subway sandwich franchises. 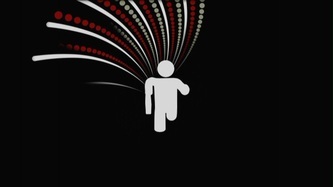 Casey is shadowed by his past when his former team returns and searches for him. Meanwhile, Chuck continues his quest to find his mother, and Morgan tries to summon the courage to disclose a delicate secret to Casey. Guest stars include Eric Roberts, Joel David Moore, Dave Batista and Mekenna Melvin. Casey: In an alley, 4th and Hill. I'll be in a dumpster. Jeff: Don't worry Casey. I know that dumpster. 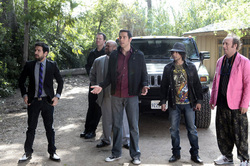 Team Bartowski battles a sinister scientist (Robert Englund) who is plotting to release toxins that induce nightmares. Meanwhile, the true allegiances of Chuck's mother (Linda Hamilton) come under scrutiny, and the Buy More gang celebrates Halloween. Morgan Fairchild also guest stars. Morgan (to Casey): I love our little give and take...classic Ross and Rachel. 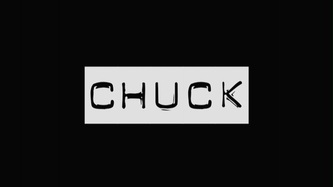 In the wake of his first fight with Sarah, Chuck embarks on a rogue mission, ultimately colliding with his mother's spy handler (Timothy Dalton) and an enigmatic Russian agent (Ana Gasteyer). Meanwhile, Ellie digs into her family's secretive past. Linda Hamilton guest stars. Worried his relationship with Sarah is souring, Chuck tries to prove his worth by undertaking a perilous assignment with an overly ambitious agent (Rob Riggle). Elsewhere, Buy More staffers delve into Greta's true identity, prompting Morgan and Casey's swift interference. Richard Chamberlain and Summer Glau guest star. Jeff: My life would be a never-ending Cialis commercial if I had her. When a shadowy international spy named the Belgian (Richard Chamberlain) inches closer to the truth of the Intersect, Team Bartowski slips deep into the jungles of Southeast Asia to thwart him, and Sarah sets forth on a rogue mission. Elsewhere, Ellie tries to unravel a family secret with help from Awesome. Sarah: Without you I'm nobody. I'm nothing but a spy. Come back to me. Chuck. I want to marry you. A Thanksgiving-leftovers dinner is stuffed with complications for Chuck when his mother (Linda Hamilton) arrives. At Buy More, Morgan gears up for the busiest shopping day of the year while Jeff and Lester launch their latest scheme. Elsewhere, Ellie continues to uncover family clues left behind by her father. Timothy Dalton and Monet Mazur guest star. Mary: Come with me if you wanna live. Chuck embarks on two secret quests. As he tries to locate a nano-chip in the vineyards of France, he also attempts to stealthily concoct a romantic getaway for Sarah. Meanwhile, Lester pesters Big Mike to help him sort out his troubled love life. Casey: Now the truth is there's no such thing as a perfect moment, or a perfect spot. So forget about the balcony, Bartowski. All you need's the girl. Sarah sets out on a perilous undercover mission by assisting Mary Bartowski (Linda Hamilton) in a bid to finally crush criminal mastermind Volkoff (Timothy Dalton). Meanwhile, Ellie and Awesome bicker over baby names. Mekenna Melvin guest stars. Casey: Throw me out the window. Casey: The window. Look, there's a little platform down there. It's only 40 feet. I've done 60, easy. I'll be fine, I promise. Sarah: Okay. But you better be fine, or else I'll really kill you. The operation to vanquish supreme evildoer Volkoff (Timothy Dalton) reaches dangerous new heights, as Sarah focuses on freeing Chuck's mother (Linda Hamilton) and Chuck teams up with Morgan for a mission. Meanwhile, Casey connects with his daughter (Mekenna Melvin); and Awesome's anxiety about fatherhood escalates. Lester: We're shaping the youth of America! Jeffrey: I'm not allowed to do that anymore. Chuck, Sarah and Casey fly to Morocco in a bid to rescue suave agent Roan Montgomery (John Larroquette). Meanwhile, Chuck and Sarah lock horns over their future plans; Mary (Linda Hamilton) strengthens family ties; and Morgan anticipates meeting Alex's mother. Sarah: Guys, we need a mission. 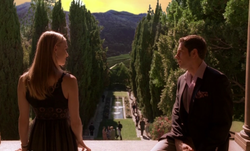 Chuck orchestrates Sarah's reunion with her former spy team, the C.A.T. Squad. The feline-quick team then try to take down their thuggish nemesis (Lou Diamond Phillips)—but simmering resentments and past secrets soon surface. Meanwhile, a C.A.T. member makes lusty moves on Morgan. Mini Anden and Mekenna Melvin guest star. Morgan: She desires my physical person. Casey: And I'm hunting unicorns. Valentine's Day is disrupted when Team Bartowski is ordered to protect a young heiress (Lauren Cohan) in England. Meanwhile, an enigmatic official (Robin Givens) makes an offer to Casey. Back home, Ellie and Awesome try to sort out a parenting issue; and Morgan mulls over a game-changing move. Mekenna Melvin guest stars. Casey [to Morgan]: Look who's talking, you live in Charah's apartment. Chuck and Sarah orchestrate an intricate heist at a high-security bank. Elsewhere, Vivian is thrust into the spy world; Chuck and Sarah's wedding plans heat up; and an unforeseen twist marks Morgan's search for a new roomie. Sarah: It's actually really pretty, and I never thought I would say this but I felt like a princess. 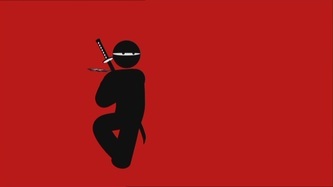 Chuck suspects that Casey may be embarking on secret missions, thereby jeopardizing the team. Elsewhere, Chuck worries that two flawless new operatives (Isaiah Mustafa, Stacy Keibler) will threaten his future as a spy; Morgan adjusts to a new roomie; and Ellie takes on potentially dangerous research. Robin Givens guest stars. Chuck: Did I mention the automatic doors? It's like I'm using the force. A whodunit case emerges when a spy is murdered in Team Bartowski's secret high-tech base. Elsewhere, Awesome embarks on a mission when Ellie takes on a potentially perilous hobby; Morgan is challenged when the Buy More crew battles Large Mart nemeses. Robin Givens guest stars. Jeff: If you love something, let it go. If it comes back to you, you can eat it. When the CIA targets Vivian (Lauren Cohan) for death, Chuck tries to save her by forming a shadowy alliance with a dangerous enemy. Meanwhile, Sarah jolts Chuck with a relationship revelation; Ellie continues to dig into her father's past, but her mother (Linda Hamilton) may be trying to foil that effort. Timothy Dalton and Mekenna Melvin guest star. Elias: Pick a game. Dice, roulette, cards. You win, the tracker is yours. I win, you die. Chuck: Do you have UNO? The con is on when a swindler bilks Chuck and Sarah out of their wedding money. For help, they reach out to a master scam artist—Sarah's father (Gary Cole). Elsewhere, Morgan tries to push Casey into a face-to-face meeting with Alex's mother. Mekenna Melvin guest stars. Chuck: I just don't understand. She came so highly recommended—by the Internet. Chuck puts his spy endeavors on hold to delight in his bachelor party, but the big bash takes surprising turns because of some uninvited guests. Elsewhere, Ellie unearths game-changing information while snooping into her father's computer. Casey: Like the mother I never had. Chuck and Sarah prepare for their nuptials and tend to the pesky last details—one of which is scrambling to save Chuck's mother (Linda Hamilton) so she can attend the ceremony. Meanwhile, Morgan's duties as best man turn perilous when he tangles with Vivian; and Ellie cooks up ideas for the rehearsal dinner. Casey: This is what happens when you draw your plans from Star Wars. In the Season 4 finale, the team scrambles to soundly trounce Vivian Volkoff (Lauren Cohan) before she can destroy Chuck and Sarah's big wedding. Also in the mix: Alexei Volkoff (Timothy Dalton) and a thuggish agent (Richard Burgi). Volkoff (pointing to Reagan): Is he still in charge? Season 5 opens with Chuck adapting to changes, such as dealing with an unlikely new Intersect and fronting his freshly minted spy-for-hire business. Carmichael Industries takes on a wealthy thief (Mark Hamill) and a sly investor (Craig Kilborn). 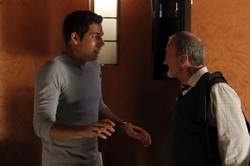 Meanwhile, Morgan and Chuck team up to give Sarah a special surprise; and Jeff and Lester launch yet another scheme. Ellie: The Intersect didn't make you a hero. It gave you an opportunity to become one. Chuck tries to get his freelance spy business off the ground as the team search for a vanished person and compete with a crafty business rival (Carrie-Anne Moss). Meanwhile, Morgan adapts to the Intersect while Chuck adjusts to being Morgan's new handler; and an unlikely person emerges as Buy More's spokesperson. Jeff Fahey and Justin Hartley guest star. Big Mike: The Buy More seems. 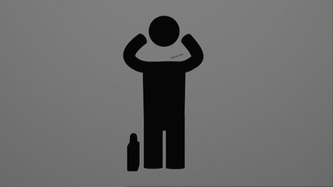 . . empty. Are we observing International Pancake Day? The team aim to crush a most-wanted evildoer, but Chuck soon realizes that recent life-altering events might be swelling Morgan's ego. Elsewhere, Sarah gives relationship pointers to Casey as he inches closer to Gertrude (Carrie-Anne Moss); and Awesome makes a shocking discovery about Jeff and Lester. Casey: I'm here because you stole our mission. . . and our moron. Mystery deepens at a Buy More sales convention when Chuck and Sarah must unmask an assassin lurking among the conventioneers. Meanwhile, Intersect complications affect Morgan; and Jeff shows there's more to him than just being a "Buy Moron." David Koechner and Catherine Dent guest star. Beckman: So shocked you people are running out of money. Chuck: Missile Command is a part of our process. An undercover mission spins around an extreme computer virus, an oddball cult and Chuck's hacker past. The task also forces Chuck to reach out to rival Gertrude Verbanski (Carrie-Anne Moss) for help. Meanwhile, a new Buy More staffer arrives and adds a new dynamic to Jeff and Lester's bond. Zachary Levi directed the episode. Verbanski: Right, I'm gonna take orders from Ward and June Cleaver. Chuck and Sarah face off against a cutthroat spy (Rebecca Romijn) while on a mission to stop a menacing computer virus. Meanwhile, a perilous case of mistaken identity upends Ellie and Awesome's date night; and Morgan is tasked with a special assignment. Casey: Good job on the breakout. That was actually. . . I'm proud of you, moron. Morgan: Did you just compliment me and insult me? The holiday season turns frosty when past secrets and old threats haunt Chuck and Sarah while they hunt for an evil schemer who's trying to destroy Carmichael Industries. Meanwhile, Ellie's perfect Christmas gets derailed; and a computer virus jeopardizes Christmas at Buy More. Comic-book figure Stan Lee guest stars. Casey: That plan's kinda vague. Sarah goes solo on a mission to face up to a haunting secret from her past. She encounters her original handler (Tim DeKay) and fears he might harm those she loves, including her mother (Cheryl Ladd). Chuck: Wikipedia-ing facts about Hungary is harmless! I, for one, had no idea the Rubik’s cube was invented there. Chuck and Sarah mull over the next phase of Carmichael Industries. Meanwhile, Casey gets more deeply involved in his forbidden romance with Gertrude Verbanski (Carrie-Anne Moss), who offers a shadowy assignment in South Beach. And an intellectually elevated Jeff scrutinizes oddball happenings at Buy More. Sarah: Everything. It's all wrong. A mission in Vail, Colo., involves Morgan facing fallout from being the Intersect and the gang receiving help from an unlikely source: Bo Derek (playing herself). Meanwhile, Jeff and Lester go deeper into their own spy operation. Angus Macfadyen guest stars. A mission in Japan gets derailed when Chuck and Sarah face off against menacing evildoer Nicholas Quinn on a speeding bullet train. Elsewhere, Casey must make a monumental decision. 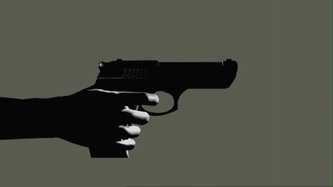 Lester: You're outgunned, outmanned, out…side and it's a lovely day, so throw down your gun and nobody gets hurt. Sarah keeps a secret from Chuck in order to successfully pull off a perilous mission. Elsewhere, Ellie and Awesome are presented with a new and potentially life-changing opportunity. Morgan: You're a wizard, Harry. 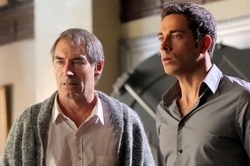 Chuck embarks on his final mission in the series finale. He must revisit his past in order to save his future, as he teams up with family, friends and unlikely allies to vanquish sinister villain Nicholas Quinn, who is intent on destroying all that Chuck has built in the past five years. Beckman: If you ever want to save the world again, you know where I am.